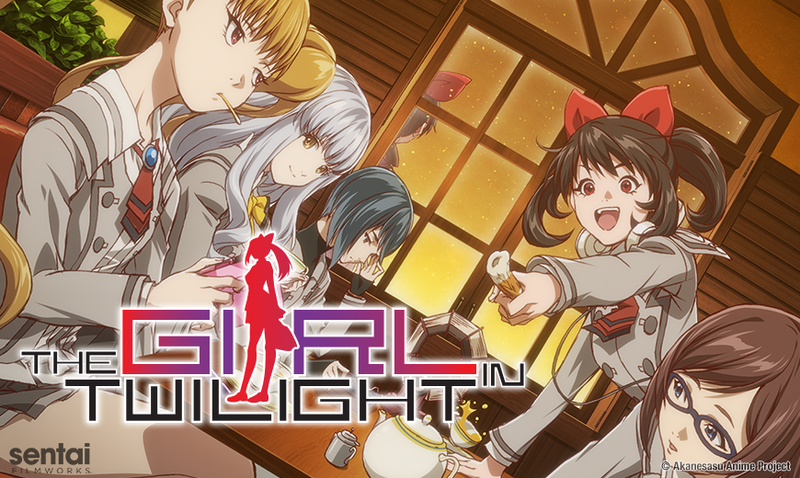 HOUSTON, TX September 27, 2018 – Sentai Filmworks announced today that it acquired exclusive rights to the supernatural-themed original series, The Girl in Twilight, for the USA, Canada, the UK, Ireland, New Zealand, Australia, Latin America, and other select territories. Jin Tamamura (Chivalry of a Failed Knight, JoJo’s Bizarre Adventure: Diamond is Unbreakable) will direct this original anime from the concept work of Kotaro Uchikoshi, the writer and director of the Zero Escape video game series. The series produced DandeLion Animation Studio (Haikyu! !, The Dragon Dentist) and Jūmonji (Chain Chronicle OVA, Hozuki’s Coolheadedness). Masakazu Katsura (Zetman, Iria - Zeiram the Animation) and Hiroyuki Asada (Cheer Boys! !, Tegami Bachi: Letter Bee anime series) are in charge of the original character design with script and series composition led by Shogo Yasukawa (Food Wars!, Is It Wrong to Pick Up Girls in a Dungeon? ).